Husson's Pizza | Succulent Pizza Trivia That Will Get Your Stomach Rumbling! Succulent Pizza Trivia That Will Get Your Stomach Rumbling! The first modern-style pizzas popped out of ovens in Naples in the late 1700s, and it didn't take them long to begin traveling the world as migrants from Italy brought the dish to new lands. Pizza is one of the world's most popular foods, so naturally there's all sorts of interesting history to the dish as it has journeyed and developed across the globe. In today's post I'd like to share some of my favorite pizza trivia with you. These little facts are perfect conversation starters, and a great way to impress guests the next time you drop by Husson's for a pie or call us out to your home! * What we now call a "pizza" first took shape in Naples around the late 18th century, when the trend of adding tomato sauce and mozzarella to flatbread began. But people have been making flatbreads with toppings similar to pizza all the way back to before written history begins, and the first known use of the word "pizza" to describe a flatbread is actually from the city of Gaeta in 997 AD. * America's first real pizzeria was a New York grocery store called Lombardi's, which started selling pizzas in 1905. It was available as a street food at least a few years before that, however, as there are references to it in New York and Boston newspapers. It could also be found in these early years in Trenton and New Haven, since many Italian immigrants also settled in those cities. * The trend of selling pizza by the slice didn't start until the early 1930s. Before that, you had to buy a whole uncut pie from anyone who sold it. A New York shop called Patsy's Pizzeria is thought to have been the first to sell individual slices, and it was so popular that almost every other shop quickly copied it, leading to the creation of the big rolled-up slices that are one of New York's most iconic foods! * The style of pizza developed in New York dominated until the 1940s, when Chicago pizzerias started selling their own unique "deep dish" style. They used corn oil to make the crust lighter and flakier, and put the tomato sauce over top of the cheese rather than under it. The first pizza of this style was served by Pizzeria Uno, which was an individual restaurant at the time but still exists as a chain (Uno Pizzeria) that's mostly seen in the Chicago and Boston areas. * The "Hawaiian pizza", with its controversial pineapple topping, was actually invented in Canada in 1962. More recently, the president of Iceland threatened to ban pineapple on pizza in the country! 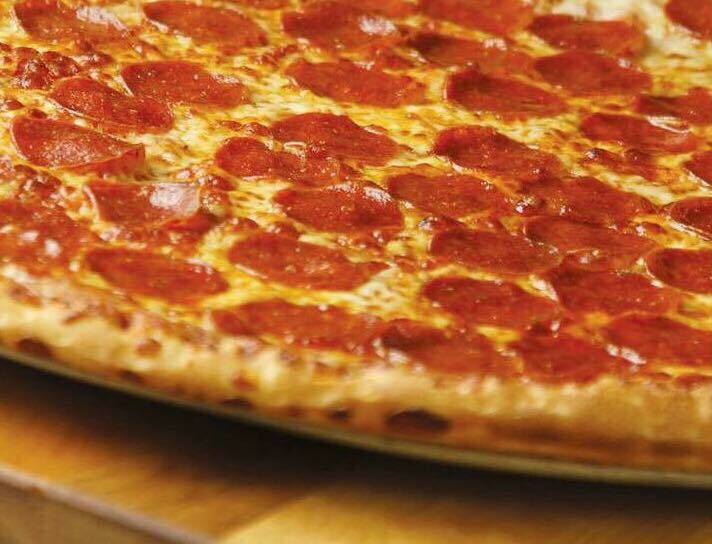 While we understand there are strong feelings on both sides of this topic, Husson's thinks pizza is great in all its forms and supports letting the customer top it the way they want. * Speaking of controversial toppings, popular pizza toppings really vary widely from country to country. For example, mutton and pickled ginger are popular on pizzas in India. If you get a pizza in Brazil, don't be surprised to see peas and carrots on it. And in Sweden, the local twist on the Hawaiian pizza is to add sliced bananas and curry powder instead of pineapple! * Chefs still spin pizza dough in their hands because it's the best way to even it out and make sure the crust has the same thickness throughout. It's become a competitive sport, however, the main event of which is the annual World Pizza Champions competition. It's usually held in Las Vegas in March as part of the International Pizza Expo, and teams compete in acrobatic dough tossing, trying to stretch the dough as far as possible without breaking it, and even in how fast they can fold pizza boxes. So there’s your nifty pizza trivia! It’s always fun to trade facts over a slice. If you’ve got any great pizza tidbits, be sure to leave a comment or just let us know the next time you stop by!